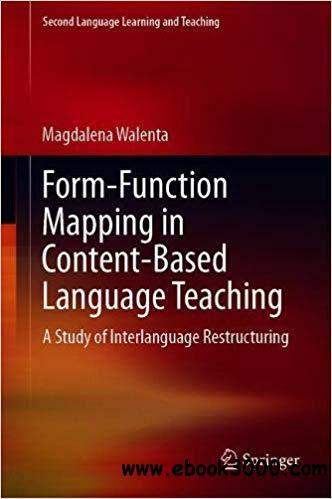 This book presents a form-function mapping (FFM) model for balancing language and content gains within content-based language teaching (CBLT). It includes a theoretical part, which outlines the FFM model and, drawing on the analysis of eclectic teaching methods and interlanguage restructuring, proposes pedagogical tools for its implementation. These tools, which encourage mapping of language forms onto content knowledge, are hypothesized to facilitate interlanguage restructuring, thus helping CBLT learners in their struggle with L2 morpho-syntax. The empirical section presents the results of a quantitative-qualitative study conducted among adult L1 Polish learners of English in a CBLT context. It then goes on to translate the findings, which reveal that the FFM model has a positive and significant influence on interlanguage restructuring as well as a favorable reception among CBLT learners, into a set of pedagogical guidelines for practitioners.